PLEASE NOTE: This surface is incredibly sticky at high temperatures for plastics such as PETG, PLA, and ABS. Once the print has finished, DO NOT immediately try to remove the model from the glass bed with force!! This glass bed must come down to room temperature for the advanced surface to “release” the model. Attempting to forcibly remove the print from the glass bed at high temperature WILL DAMAGE the proprietary surface. Excellent adhesion: Creality art carbon and silicone build surface provides the best adhesion in the market. Once the hotbed cools back to room temperature, the carbon-silicone base will release the model which can be easily removed by hand. Convenient to use: The new glass plate can be placed on top of any existing hotbed surface and be held in place with simple clips. Clean with water or alcohol. Easy to remove your print by hand or with a scraper. High-performance: As the hotbed heats to higher temperatures, it provides even more adhesion. Perfect for those ABS prints with difficult warping issues. 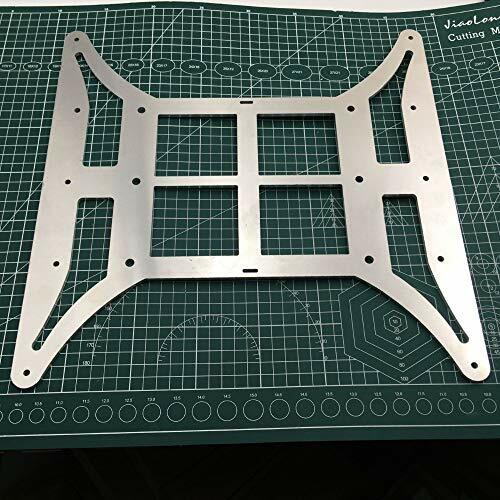 Reliability: The special coating is inorganic, with its hardness of 8 Mohs and heat resistance up to 400 ℃. 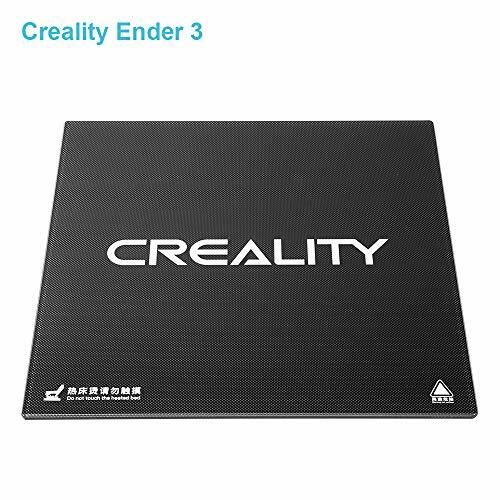 Compatibility: Compatible with Creality 3D printer Ender-3, Ender-3 Pro, Ender-3X . 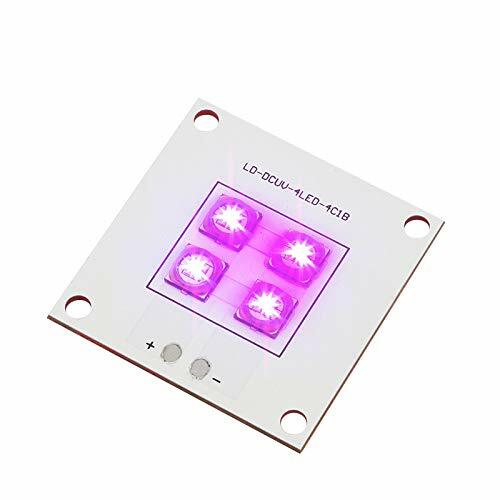 New type of LED light beads, sufficient light, good printing effect.